When you think about re-ordering your contact lenses, what do you think about? Do you start by thinking about how busy you are, and where you’re going to find the time to drop by your eye doctor’s office to pick up new contacts? As you’re making the trip, do you think about all the things you could be doing instead? When you arrive at the eye doctor’s office, do you wonder why no one is available to help you when it doesn’t seem like any of the office staff are really that busy doing anything? Do you still drive to your eye doctor’s office to buy contact lenses? What runs through your head when you begin the argument with the office staff about re-ordering your contact lenses? You know the one where all you want to do is re-order the same thing you had last time because everything was fine with them, you’re just on your last pair now and you need a new supply. But the staff member you are talking to insists that it has been too long since the eye doctor checked your eyes, so now you have to book an appointment to have them rechecked before they will sell you any contacts. At this point do you think of how much this appointment will cost, and how you didn’t factor it into your budget for contact lenses? Are you thinking about what you’ll have to give up to compensate for this extra expense? Then you do think of how think of how uncomfortable your contact lenses will feel for the next week because they’re already getting old but your optometrists can’t see you any sooner? And how cheesed are you that you have to leave empty handed after taking time out of your day to go there? When you finally get in to see your optometrists, you are told it is highly recommended to upgrade to the newest and finest contact lens brand that just came out. You’re pretty sure you don’t need it, but your optometrist seems intent on trying to sell them to you. “They will cost a bit more” he says, but they’re going to be much better than the brand that you’ve been wearing for years (and never had any problems with). At this point do you wonder how such a simple task of ordering contact lenses became such a long, complicated and expensive predicament? 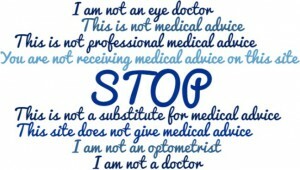 Do you stick to your guns and insist to your eye doctor that you don’t need the new brand that he/she is recommending? 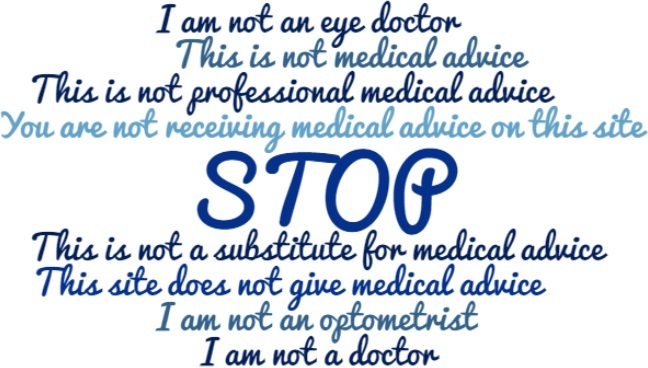 Are you the kind of person that needs to fight off the feeling of guilt that your optometrist imposes on you for not taking his/her recommendation? Or are you ruthless enough to shut people down to t heir face? During the back and forth with your doctor, does it occur to you that your eye doctor is recommending you something that is “better for you”, while at the same time being conveniently better for his/her bottom line? After you courageously stave off every pressure tactics in the book, do you think, finally, I’m going to receive my contact lenses? When you are informed that the contact lenses need to be ordered and will take another week for them to arrive, do you think back to when you first set out to re-order your contact lenses, and ravel at how long the whole process takes? 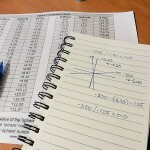 When you are asked how you would like to pay for your order, do you glance at the price and swear that it is higher than what you paid last time? 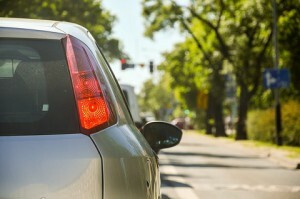 As you drive home from your doctor’s office, do you ask yourself why you even keep going back to that place? You know that there are several other offices closer to where you live, but you going back to that same place that leaves you frustrated every time. When you finally get the phone call saying that your contact lenses are ready to be picked up, do you despair about having to drive all the way back to your eye doctor’s office, once again, despite your busy schedule? Do you ask yourself if re-ordering contact lenses is suppose to be this hard? Do you think to yourself: “There must be an easier way”? If you’re still buying your contact lenses form your eye doctor, and these questions are popping into your head, it’s probably because deep down, you know that there is a better way. Don’t forget, you still have to see you eye doctor regularly to have the health of your eyes examined and to receive up-to-date contact lens prescriptions. 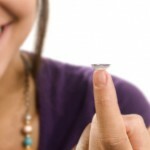 But once you’ve received your contact lens prescription, you are free to go purchase contact lenses anywhere you please and you will still get exactly what you’re eye doctor prescribed (and most likely, at a much lower cost). Remember that optometrists cannot refuse to give you your prescription for contact lenses to prevent you from going to shop elsewhere. By law, they must provide you with a copy of your prescription. There was a time when your eye doctor’s office was the only place you could buy contact lenses from. Back then, optometrists could afford to make the process as complicated as possible, because they knew people had no other option. Today, things have changed. Laws have changed. Laws that protect your right as a consumer to shop around for contact lenses and buy them from the place that offers the best price and the most convenience for you. If your eye doctor’s office still offers you the best price and the highest convenience, then by all means, keep giving them your business. But nowadays, you will be hard pressed to find a better price than online, and how can you beat the convenience of having your contact lenses delivered directly to your home? Online retailers of contact lenses don’t argue with you, and don’t try to sell you anything you don’t need. They exist to give you exactly what you want, and because they operate in an extremely competitive marketplace, prices are kept low, and customer service is kept high in order to try to retain your business. But don’t forget… Just because you’re buying online doesn’t mean you’re automatically getting the best price. Prices online actually vary quite a bit from one site to another. If you would like to benefit from the best online contact lens deals, without having to put in the hours of tedious price comparisons, then check out: my special resource page where I list the latest sales, specials and coupon codes. Only current sales and promotions. When a sale ends, I remove it form the page so you don’t have to worry about expired coupons codes. All the best deals out there. We all know that there isn’t one site out there that has ALL the lowest prices. I bring you the sales happening across all of the major contact lens retailers to give you all your best options. Exclusive deals. 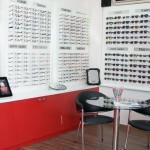 Contact lens retailers offer exclusive deals to owners of contact lens blogs like this one to extend to their readers. This means that you won’t find better offers anywhere else.